Today, on Good Morning America the remaining six core Avengers cast were on hand to debut a clip from the upcoming film Avengers: Endgame. 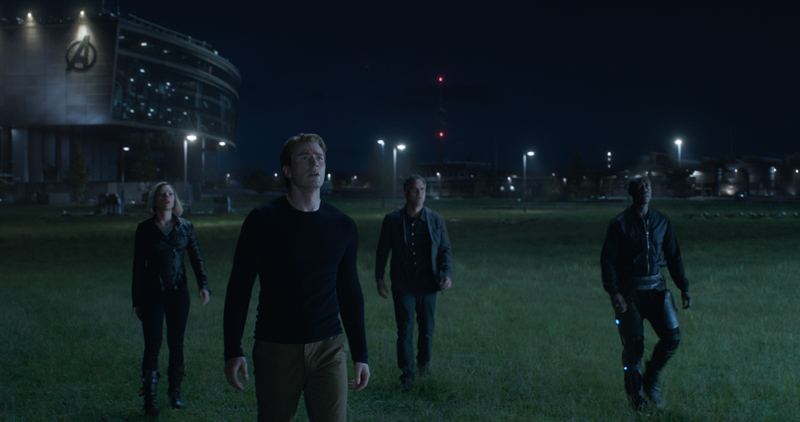 In the clip, we see the remaining members searching for a way to reverse the infamous snap from last year’s Avengers: Infinity War. We also see James Rhodes (Don Cheadle), gets a little miffed with the introduction of Carol Danvers (Brie Larson) as she assures the team that her presence will make all the difference as they try to face Thanos (Josh Brolin) again. Avengers: Endgame hits theaters on Friday, April 27th! Be sure to watch the official clip and trailer below! What are your thoughts on the new clip? Be sure to share them in the comment section below! Yes, Daddy! Use that explicit language!